Welcome back to a weekly feature here at Movies With Abe. I'm going to be providing a handy guide to a few choice movies currently playing in theatres as well as several films newly released on DVD and Netflix. I invite you to add in your thoughts on any films I haven’t seen in the comments below. I’m continuing with a new format started last week. I saw Widows almost a month ago, and I’ve been excited for it to come out ever since. Director Steve McQueen’s follow-up to the Oscar-winning “12 Years a Slave” is a superb thriller with excellent performances all around, and I’m betting it’s going to be a strong Oscar player too. 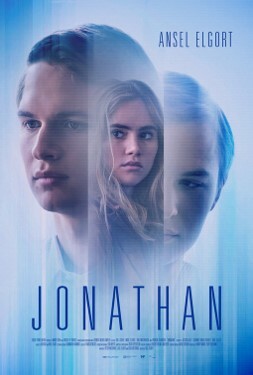 I’m equally enthusiastic about recommending Jonathan, which I saw at the Tribeca Film Festival back in April. It’s a very creative and worthwhile film featuring a great double performance from Ansel Elgort. Of Fathers and Sons is an intense and eye-opening documentary that gets up close and personal with a radical jihadist in Syria – worth seeing if the subject matter isn’t too upsetting. And for fans of Vincent Van Gogh, At Eternity’s Gate, starring Willem Dafoe as the tortured painter, is also out, though you have to really be in the mood for director Julian Schnabel’s style if you want to enjoy it. I’m hoping to see “Green Book,” which is out in a few theaters this weekend, very soon. 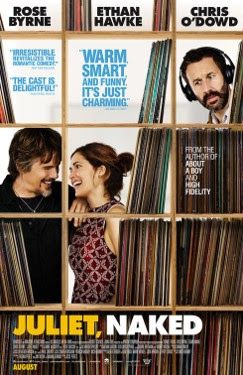 I truly enjoyed Juliet, Naked, a winning comedy starring Rose Byrne and the omnipresent Ethan Hawke, when I saw it at Sundance. It’s very funny and enjoyable. It just arrived theatrically last week, but The New Romantic, another great choice, is already out on DVD. For a decent performance in a mediocre movie, check out Kelly Macdonald in Puzzle. 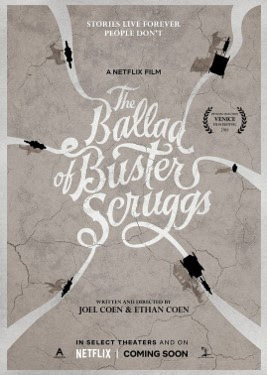 To me, one of the most entertaining things I’ve seen this year was the opening vignette of The Ballad of Buster Scruggs, the new film from the Coen brothers which screened at the New York Film Festival. Unfortunately, the other segments aren’t nearly as good, and it’s probably for the best that this one is available in a format that allows audiences to skip past some of the less terrific parts.